We just had constructed a new room on the second floor of the house and I am now thinking of how would I design the interior of the room. I want it to be minimalist with only the basic furniture and all must be functional rather decorative. You know...as you get older, you prefer more simple things. 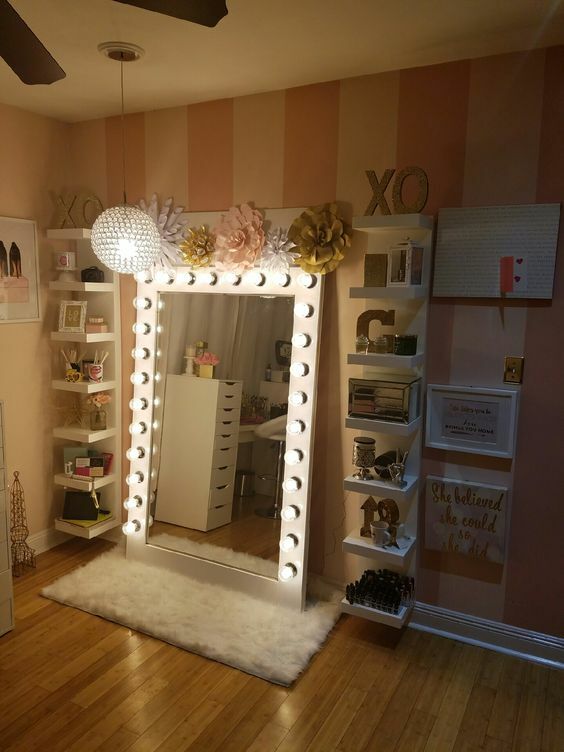 Meanwhile my daughter is requesting for a vanity dresser in her room, so while I am scouting for a design for her, I also tried to look one for myself. I love the first two designs below, while the third and the fourth designs are the ones I am considering for my daughter's bedroom. While I could settle for one without the lights around the mirror, my daughter was requesting for those lights. Well, you know younger people are so vain now a days and a great fan of make up. I am not a "make up" person. I am good with just a powder and a bit of lipstick and eye brow liner. So I don't need much of the drawers for such stuff. 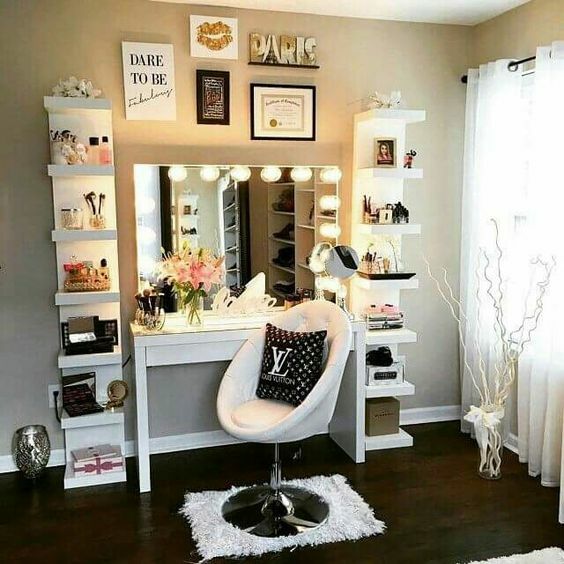 If I would be needing some shelves, maybe it would be intended for something else like colognes and perfumes and other facial cleansing products and lotions. My daughter would definitely love to dress up seeing her entire outfit in whole body size mirror, so I think the design below is a perfect choice for her. 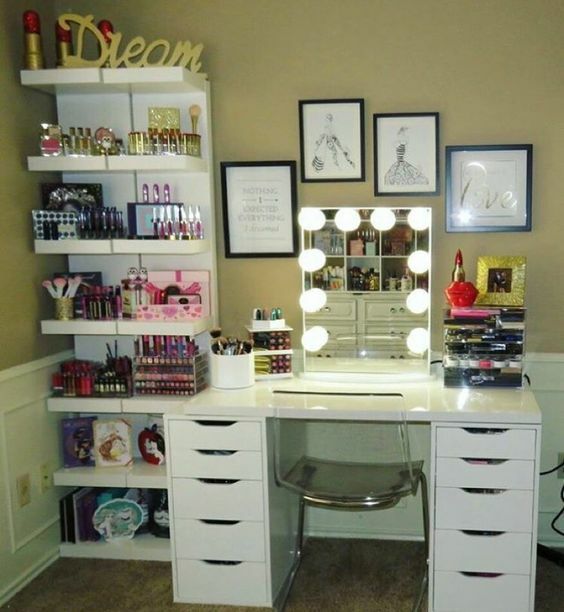 This design is also nice although I find it having too many drawers which can be lessened in number, but I love the fact that it has some shelvings which would be good for "girly things". 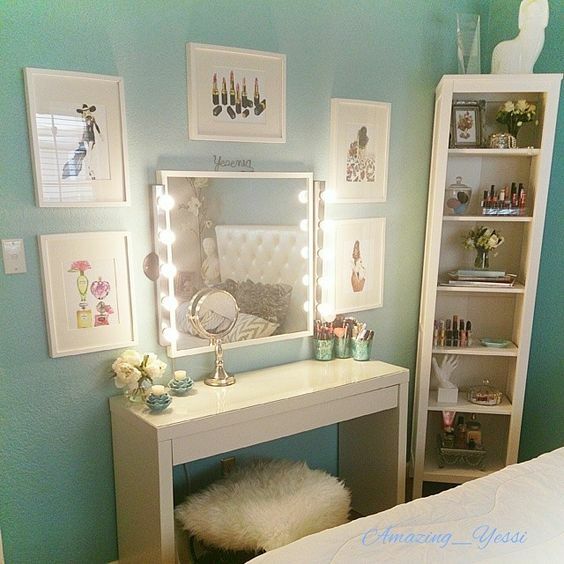 I need to find a good furniture maker who could come up with customized vanity dresser based on our specifications. I am really excited to have one for myself and for my daughter's room, as well.